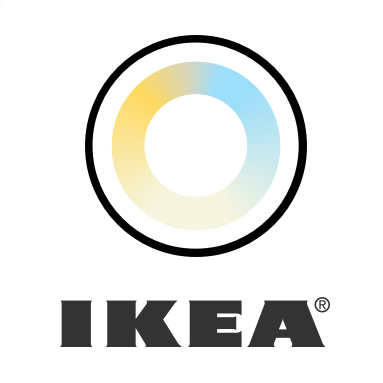 When I think of Home Automation, IKEA never enters my thought process — until now. Some time ago they began producing the TRÄDFRI line of home automation products. Surprisingly enough, they make some pretty interesting stuff. It’s a good thing they’re ZigBee based, though; their software is of… limited utility. If you want to use any of their equipment with your pre-existing system (or with, say, Alexa), you’re probably going to need their optional hub. Built on a similar platform as the HS-WD100+, the HS-WD200+ is a Z-Wave Dimmer that once more earns the “best in class” designation. It offers all the features of the 100+, but with additional enhancements, such as the addition of four extra scene activation triggers (quadruple- and quintuple-tap). The most important new feature, however, is the presence of seven individually-addressable RGB status indicators. openHAB is a Java-based platform (developed in parallel with Eclipse Smarthome, on which it is based) that provides interface, control, and automation functionality for your home. It supports many devices and networks through “bindings”, including Z-Wave. A rules engine provides for automation, and several user interfaces are available. Since HomeAssistant doesn’t support the scene control features of the HS-WD100+, I decided to give openHAB 2 a shot. It works reliably once configured. The HS-WS100+ or HS-WD100+ HomeSeer switches both support multi-way configurations. This will not work with standard three-way switches, however; instead, you need the HS-WA100+. 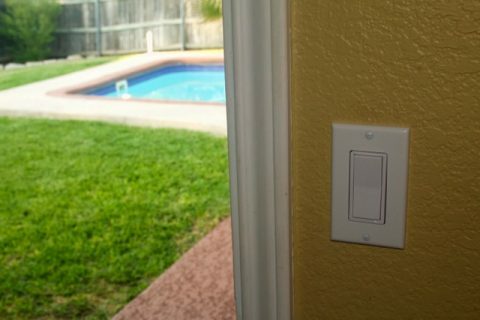 Note that this switch is not a Z-Wave device, does not directly control a load, and will not work without one of the aforementioned HomeSeer switches. If you’re looking for just a remote Z-Wave switch without load control, you should look elsewhere. 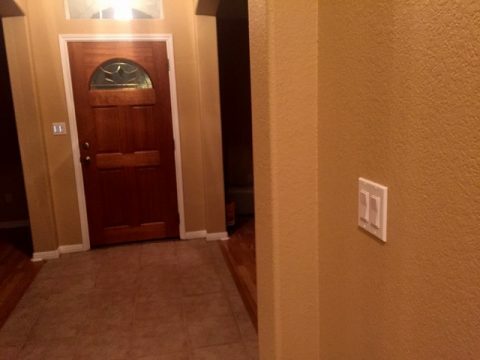 The HomeSeer HS-WS100+ is a best-in-class Z-Wave wall switch. It uses a mechanical relay, which means you can switch almost any load within reason. It even supports three-way operation with the HS-WA100+ companion switch. 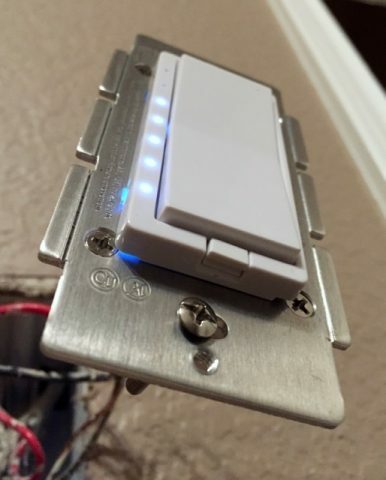 And like the HomeSeer dimmer, it includes additional scene control functionality, making this a very versatile addition to your home automation system. 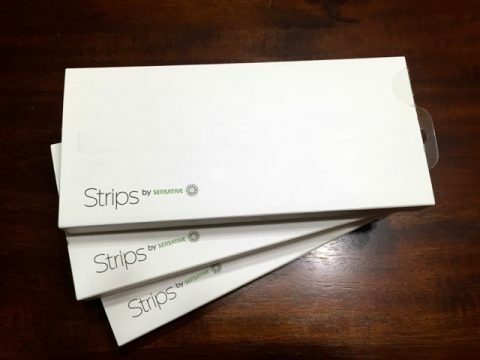 Sensative Strips are thin devices that you can install on a door or window to detect the open or closed state. They’re small, they’re functional, and amazingly enough, they speak Z-Wave. Install one on the frame of your door, and you have a nice little sensor without having to run wires. I got mine from a seller on Amazon. If you can’t get your hands on a HomeSeer HS-WD100+, the GE 12724 is a nice alternative. It doesn’t have a visual indication of the dim level, and it doesn’t support multi-tap scene control, but it’s comparable in most other ways. 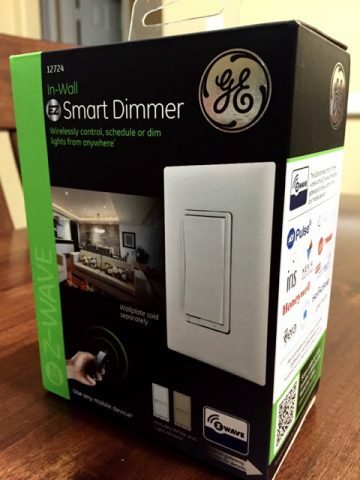 The HomeSeer HS-WD100+ In-Wall Dimmer is widely recognized as one of the best Z-Wave dimmers currently available. 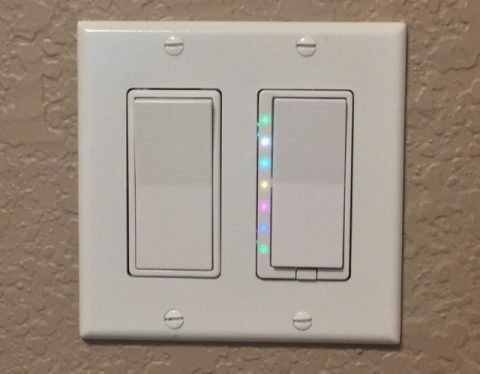 It has the functionality one would expect of a dimmer, plus additional scene control abilities via double- and triple-tap operations on either the top or bottom paddle. Pairing is simple, but advanced features may not be available with some hubs. The Leviton DZR15 outlet provides a convenient method of controlling loads without having a separate module cluttering things up. 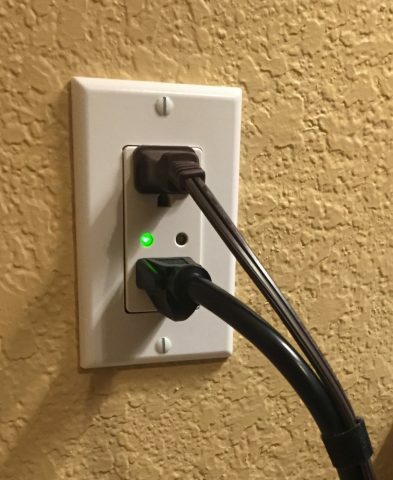 This unit installs in place of a standard wall outlet and provides two sockets: one switched, and one unswitched. The unit is very easy to pair with most home automation hubs. 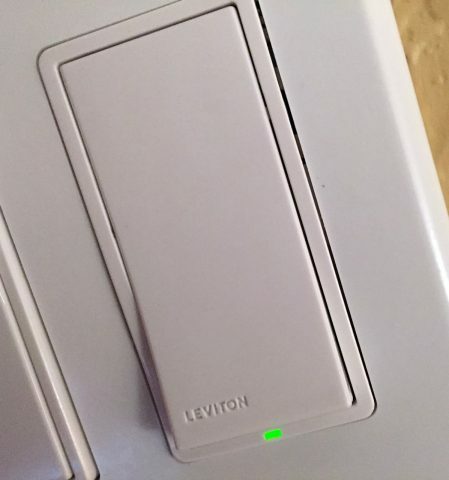 The Leviton DZS-15 is a Z-Wave switch designed for on/off control of 15 Amp 120VAC loads. It supports a wide range of loads, and supports 3-Way operation with the addition of a remote companion switch. Pairing with the Wink (and presumably other hubs) is simple. I’ve always been interested in home automation. In the olden days, this meant X10 — which meant bulky, slow, and unreliable. Modern technologies have changed this, however; From Apple HomeKit to Z-Wave, the choices are endless. Most are also far faster and more reliable than X10. The local Home Despot had the Wink 2 in stock, so I decided to give it a shot.